Land of the Sky Wilderness School: This Sunday! 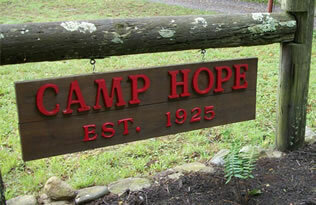 Cruso NC (April 28) - SAVE CAMP HOPE! This Sunday! Cruso NC (April 28) - SAVE CAMP HOPE! THIS SUNDAY: Save Camp Hope, this Sunday April 28 from 1-5pm Eugene Runkis﻿ and I will be demonstrating some cool survival stuff, meeting folks and doing whatever TV people do to bring attention to a worthy local cause in Cruso, NC. Camp Hope has served our local community and is also the film location for an upcoming new episode of Hillbilly Blood where we catch fish to smoke and preserve in an old fridge. Free drinks and lots of fun stuff going on. Bring attention to the preservation of this local landmark that is open to the public most of the year. I'll probably bring my guitar. Don't let the rain stop you!!!!!!!!!!!!!! !